If there is one urgent book you should read at this moment, it is ‘How Democracies Die’. 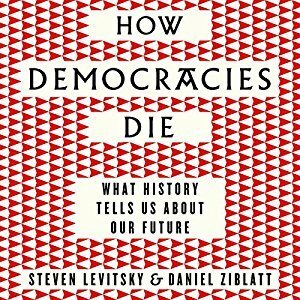 The authors, Harvard professors Steven Levitsky and Daniël Ziblatt take us on a historical tour around the world and present a deep understanding of how and why democracies die. We tend to think that democracies die at the hands of men with guns. But there is another, less dramatic but equally destructive way to break a democracy down: at the hands of elected leaders, presidents or prime ministers, who subvert the very process that brought them to power. They maintain a veneer of democracy while eviscerating its substance. They pay lip service to the constitution, while at the same time behaving as though it does not exist. Strongmen of the twenty-first century like Erdogan, Orban, Maduro and Trump all deride their opponents as criminals, show contempt for their critics in the media, stoke conspiracy theories about opposition movements and question the legitimacy of elections that are not in their favour. The authors are deeply suspicious of the naïve belief that deviant politicians can be contained by the right institutions. They emphasise the importance of not just rules and institutions, but of how politicians behave, and refer especially to tolerance and restraint in the use of power. This book is a lucid and essential guide to what can happen in every democracy, no exceptions.